Cute scalloped tag alert! A great idea for presenting your signature drinks. 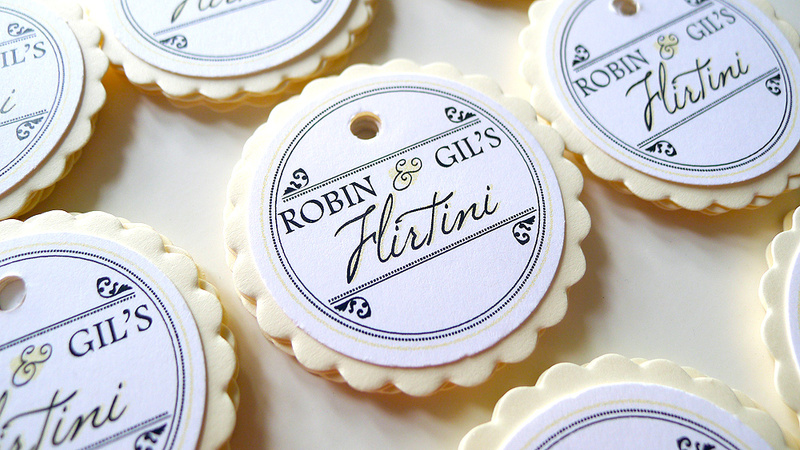 Check out these adorable little scalloped tags we just finished up, and shipped off at the studio. These layered paper tags are way cute for presenting your signature drinks during cocktail hour. Tie it to a stirrer, and you’re ready to go! These are based off of our Honeybee Scalloped Tags design. Available at the shop soon! Past client? Add your testimonial! Award-winning service 3 years in a row! We're preferred local vendors of Kleinfeld!